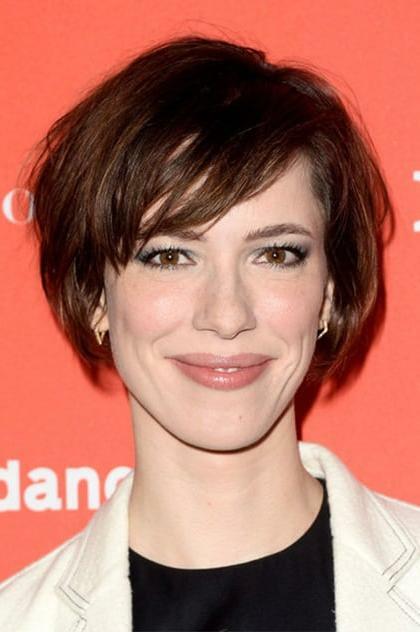 Rebecca Maria Hall (born 3 May 1982) is an English actress. In 2003, Hall won the Ian Charleson Award for her debut stage performance in a production of Mrs. Warren's Profession. She has appeared in three high-profile films: The Prestige, Vicky Cristina Barcelona (for which she was nominated for a Golden Globe in the Best Actress in a Motion Picture – Musical or Comedy category), and The Town. On 6 June 2010, she won the Supporting Actress BAFTA for her portrayal of Paula Garland in the 2009 Channel 4 production Red Riding: In the Year of Our Lord 1974. Description above from the Wikipedia article Rebecca Hall, licensed under CC-BY-SA, full list of contributors on Wikipedia.